1 Remove egg yolks, reserving egg whites. Mash egg yolks in small bowl. 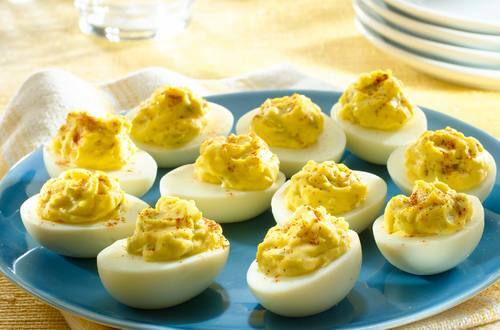 Stir in Hellmann's® or Best Foods® Light Mayonnaise, pickles, dry mustard, vinegar, pepper and salt. Spoon or pipe into egg whites, then sprinkle with paprika. Refrigerate until ready to serve. Also terrific with Hellmann's® or Best Foods® Real Mayonnaise.